I should start this post with a disclaimer: I love my husband. With all that being said, Brett and I have a clear understanding that if, in a tragic twist of fate, Brett is no longer my husband, I will re-marry a Frenchman. Unabashedly, I will take our children, move to France, and marry the first God-fearing, chateau-living, beret-wearing Frenchman that I can find. I have no shame in saying this and Brett is fully aware of my intentions, as we have outlined them in a Sheldon Cooper-esque clause of our unspoken relationship agreement. For years, I have had a love and admiration for French culture. I love the art, the buildings, the delicately perfect desserts, and the flowery sound of the language. I love the way I feel in Paris and my memories from my visits there are some of my favorite that I have. Yes, my mind is made up and it’s settled: If I’m every unfortunate enough to find myself without Brett, I will find myself in France. These lemon lavender cookies remind me of my imaginary life in France. 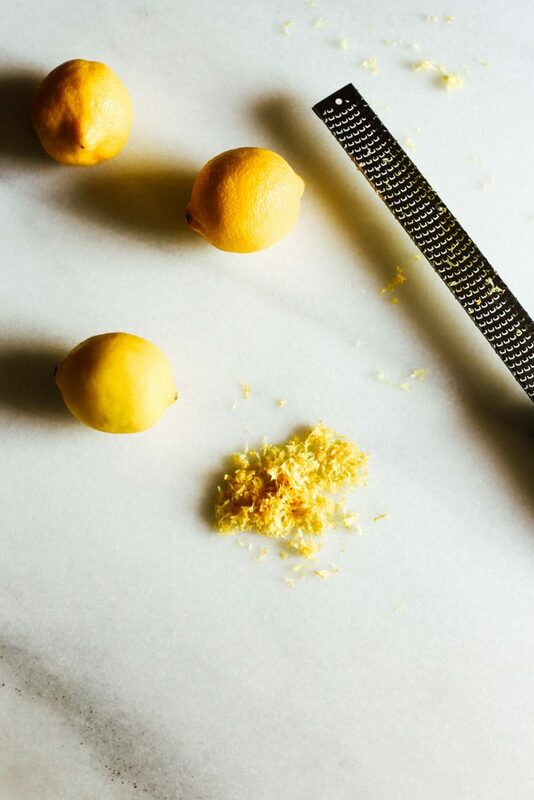 Dainty, buttery, little bite-sized chews of lavender scented lemon cookies taste like the air smells in Provence and make me feel like I’m maybe doing something that Julia Child did in her kitchen. The recipe is a variation of my crispy butter pecan cookies, however, without the nuts, these cookies remain soft and chewy. With only 6 ingredients and 10 minutes of bake time, these lemon lavender cookies are a cinch to whip up. 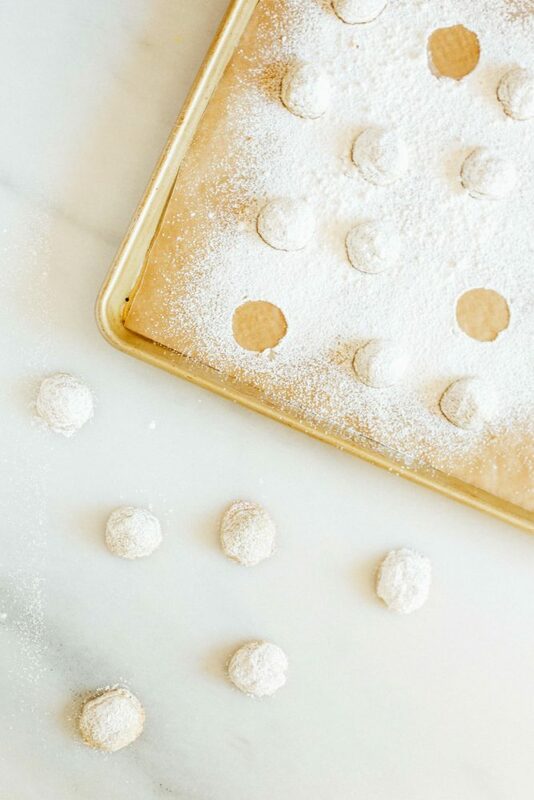 These bite-sized cookies taste delicious as a treat to pair with morning coffee, afternoon tea, or an evening glass of bubbly champagne. While lemon lavender cookies don’t taste nearly as good as being married to my husband feels, I’ll take 2 or 10 of these cookies as a little bite of France any day of the week. And in the meantime, I’ll settle for French braids, fries, and kisses. These lemon lavender cookies are buttery and floral bite-sized cookies that bake up quick and taste delicious! Put butter into a food processor, mini chopper, or stand mixer and process until smooth. Add sugar and pulse until combined and smooth. Add the zest, lavender, and salt, pulsing to combine. Finally, add the flour and pulse just until flour is barely integrated and dough forms big crumbles. Scoop 2 teaspoons sized balls of dough (I use a small cookie scoop) out on to a baking sheet covered with parchment or a Silpat. Roll dough in between hands to make small rounds. The dough will be pretty dry, this is normal. Bake for about 11 minutes or until cookies’ edges set and the bottoms are golden brown. Be careful when handling! 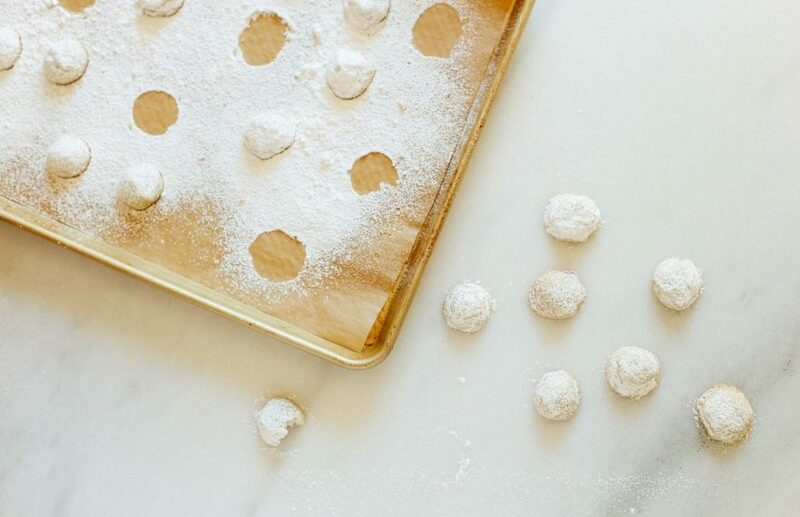 Once cooled, dust or toss cookies in a generous amount of powdered sugar. These cookies are tiny and are best eaten the day of. Feel free to double the batch! It makes just a few cookies. Hi I am looking forward to trying this recipe. I have some loose leaf French lavender tea can I use this lavender for making these cookies? You could certainly try! I would assume that it would flavor the cookies with the tea leaves as well though, so keep that in mind. For best results, check out culinary lavender! Do you use lavender essential oil? Thank yoi! 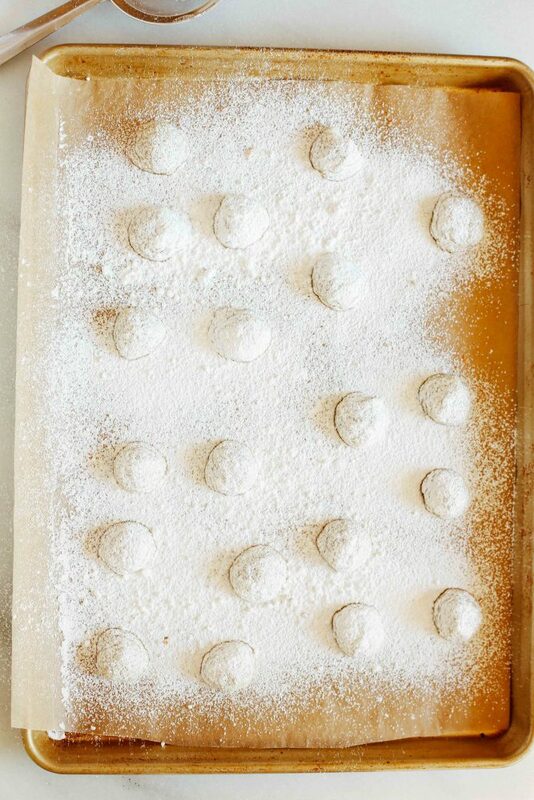 I am excited to make these with friends next week. To come visit you twice yearly! And as far as the cookies you had me at with bubbly. !